Since man first laid his hands on an ergonomically-designed games controller, he has yearned to shoot enemies in the face from a 1st-person perspective. The FPS is one of the most –if not the most – popular genres of video games around, with millions of people choosing to spend their nights and weekends gleefully laying waste to their friends, family and complete strangers. The phenomena didn’t start with Call of Duty or Halo, though. FPS’ have a rich history stretching back to the consoles of our forefathers (or, erm…fathers). One of the games that kicked off the FPS genre was 1993’s Wolfenstein 3D, in which you ran around a castle shooting Nazis – yeah, things haven’t really changed much. The latest edition of the Wolfenstein series, The New Order, hit shelves today and to celebrate, we’ve put together a few of our favourite retro FPS games. Talking about FPS games without mentioning Doom is like talking about cake without mentioning sponge or sugar. 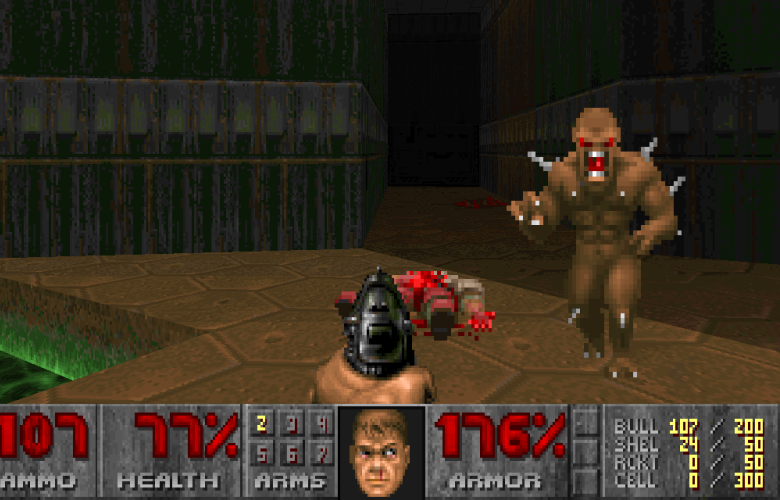 Doom is the most influential FPS ever made, inspiring everything from CoD to Titanfall. The concept of Doom is simple; you’re some guy sent to Martian moon base, where some scientists have accidentally opened the gates to Hell (or something). His only hope of survival is to (you guessed it) shoot the living daylights out of anything that moves. Along the way, you meet increasingly nasty beasties but, fortunately, you get an increasingly awesome set of guns to dispatch them with. 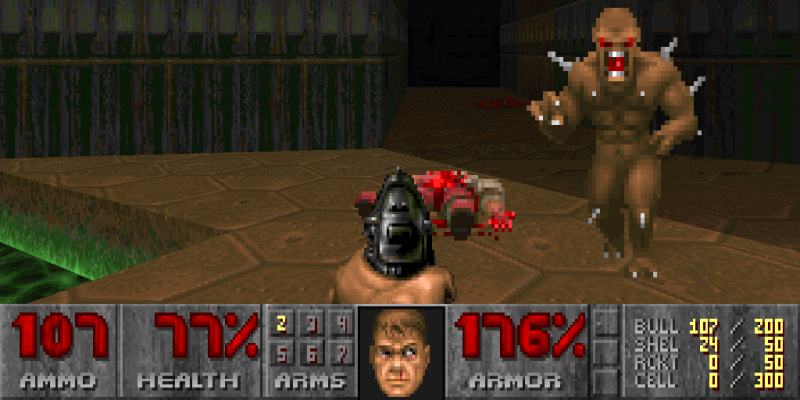 To this day, Doom is a ridiculously fun game that every gamer…nay, everyone, should play at least once. The name alone is enough to bring a tear to the eye of gamers of a certain age. 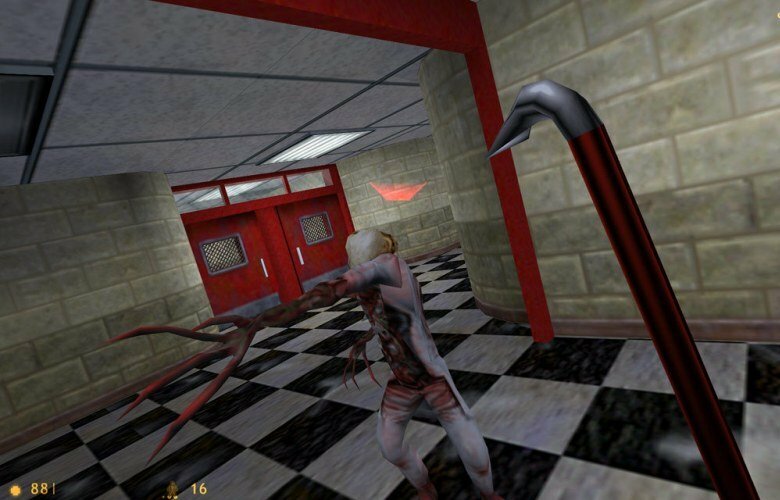 Quake was of one of the 1st fully 3D FPS’ and a game that introduced the world to FPS standards like strafing and the ever-annoying practice of bunny hopping. Its real legacy, though, was introducing the world to online multiplayer, allowing angry young men everywhere to shoot each other and shout expletives down a microphone while they do it. Thanks, Quake! Quake may have invented online multiplayer, but it wasn’t until Unreal Tournament that its full potential became clear. 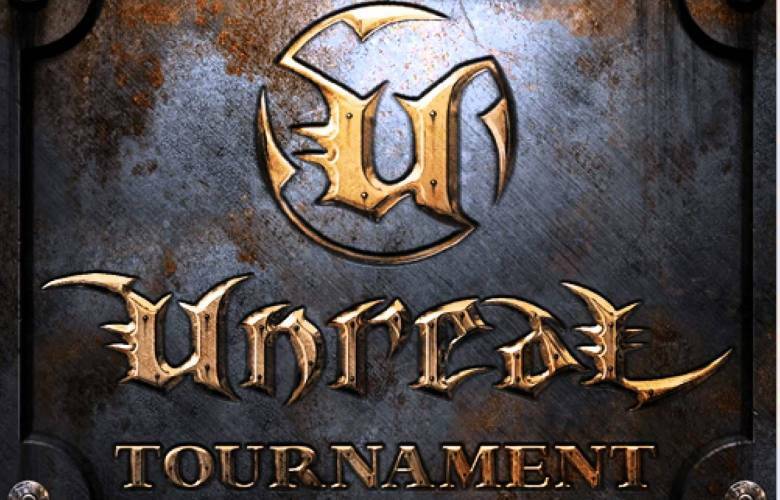 Unreal Tournament is essentially a really old version of the Call of Duty games we all know and love today. The concept is simple: a load of players are dumped into an arena (that’s what you call a map, kids) and then proceed to shoot the heck out of each other. UT was also responsible for spawning competitive gaming, allowing hundreds of grown men to realise their fantasy of playing video games for a living. Half-Life was a game of firsts. It was the first game to let you ‘enjoy’ a commute to work. It was the first game to let you play as a geeky bespectacled man. And, it was probably the first game to feature Mr. Bean from that episode where he gets a turkey stuck on his head as a villain. It was also one of the best video games ever made, combining an engrossing story about multiple dimensions and aliens with some brutally awesome combat. Unbelievably, Half-Life is 16 years old this year but it’s still better than 99% of the games released today. So there. Before Medal of Honor, gritty realism wasn’t something that closely associated with first person shooters – even Wolfenstein featured a robot Hitler. Then MoH came along with its realistic portrayal of World War 2 and changed things forever. 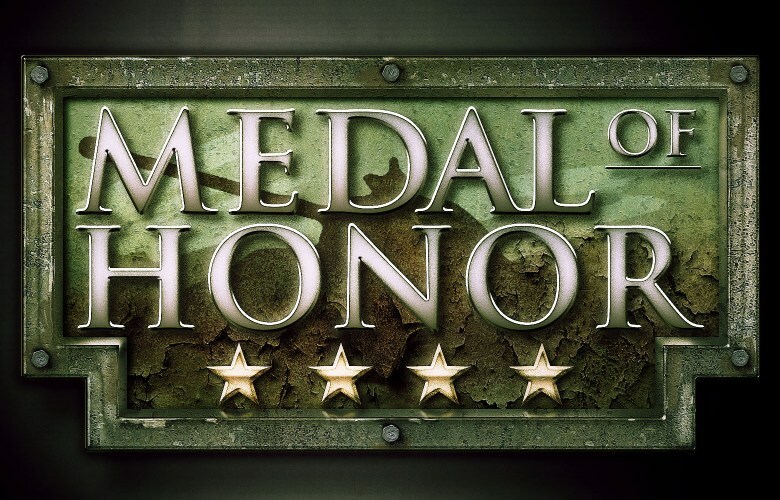 MoH is directly responsible for the popularity of games like Call of Duty and Battlefield, popularising the war genre and pushing FPS’ in a more realistic direction. It was also one of the first FPS games to take a cinematic approach, introducing cutscenes and set pieces that you’d expect to find in the latest Michael Bay movie rather than a video game. Which classic FPS’ do you think we’ve missed? Let us know below or on Facebook or Twitter. And don’t forget, you can sell your unwanted video games and consoles with musicMagpie!